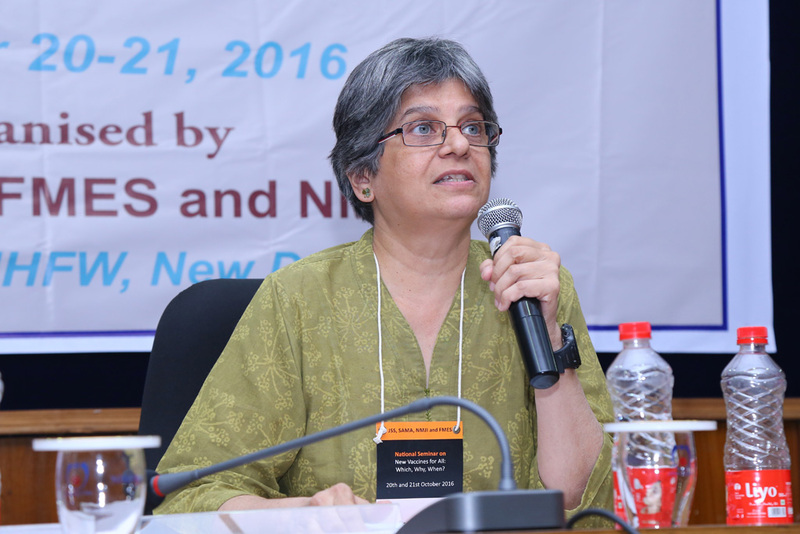 Dr. Vineeta Bal (NII) presented on effectiveness and efficacy of vaccines with a particular focus on Human Papilloma Virus (HPV) vaccine and the Rotavirus vaccine. In the context of the HPV vaccine, two important points to be considered: prevention of the disease and protective response generated by a vaccine. Effectiveness of vaccines is determined by their ability to provide protection from a disease, that is, by generating a protective immune response. This is different from efficacy- which determines the vaccine response in a clinical trial situation, which is in a relatively more controlled environment. Clinical Trials efficacy (identified in blood levels) comes down drastically in the field. So there is a difference in the vaccine efficacy in a clinical trial and during actual administration. Surrogate marker of protection of the vaccine is tested during clinical trial. Vaccine provides protection from disease, not from normal infection, which is prevalent everywhere. Immune system responds to infection, which lasts for different vaccines with different time durations. Therefore, vaccines can provide different duration of protection- some may require boosters after a period. There are multiple HPV viruses. The vaccine can mount an immune response post sexual activity when HPV is contracted – but it cannot provide protection from all strains of the virus. HPV – Strain A works after sometime; Strain B vaccine will work for both. If vaccine is given at one point and another virus comes in the way, the individual will generate an immune response to it. So there may be cross protection as well. Vaccines should be tailor made. There is no single solution for the types of vaccine we take- all five components of the Pentavalent vaccine will generate separate response in trial conditions so together they may have a protective factor but this may differ according to situations. However, it is not the same for Polio IPV and OPV.